Saturday, 28th of May, 2016 will be recorded in the grease-stained pages of St. Pete Bike Co-op’s historical records as one of the really, really awesome and feelgood days for our little organization. 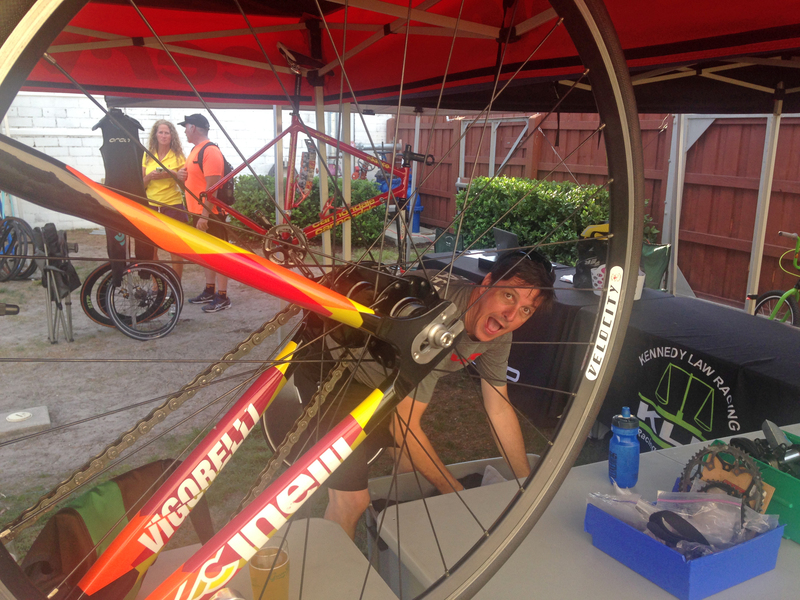 It will be noted as a smashing fundraising success and a great example of what is possible when small groups of bike- and community-minded people work together toward a common goal. 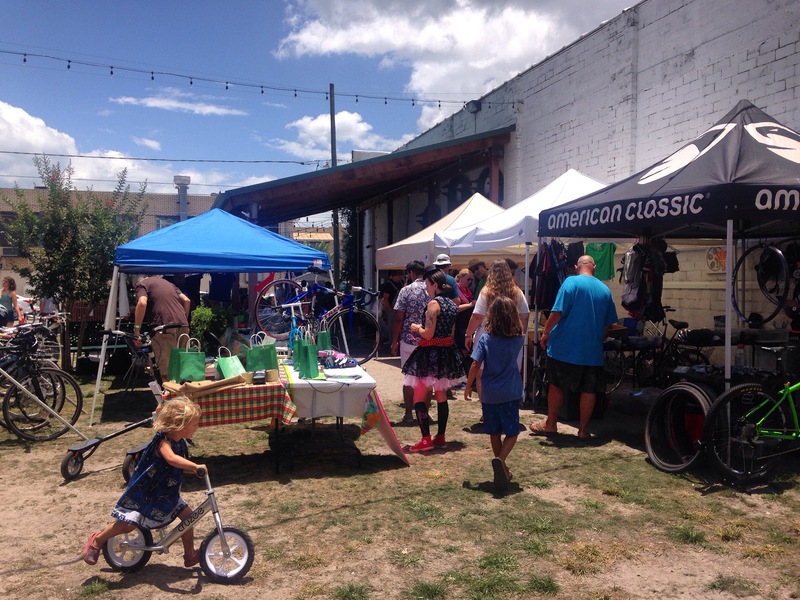 There were many parts and bikes bought and sold, super cool raffle prizes won, conversations and new friendships made, and everyone smiled and enjoyed themselves while mingling and sipping on refreshing Green Bench brews. As usual, our skilled team of iPhone reporters was on site to record the event for digital posterity and you can view all of their photos on our flickr page at your leisure. While planning the event we all hoped for a fun and well-attended one, but we never really expected all the bucketloads of good vibes and generous support bestowed upon us from our incredible hosts and sponsors, our hero volunteers, and everyone that visited our tent. I must have said a year’s worth of “thank you’s” in one afternoon! Seriously, THANK YOU ALL SO MUCH again! THANK YOU to all our superstar volunteers that braved the relentless heat while selling raffle tickets and answering questions. THANK YOU to all the incredible vendors and sponsors for all your generous love and support – Top Gun, American Classic, Cruzee, Black Crow Coffee, Vertical Ventures, The Body Electric Yoga Company, Trinity Graphics, Danni LeTendre of Spring Green Handbags, Chad Cardoza of Kick Start My Art, Help Earth Ride and St. Pete Critical Mass, and Shift St. Pete – you guys are the true local heroes. High fives all around! And finally, one super monster, tandem-size bike THANK YOU to our most awesomest hosts Green Bench Brewing Co. for their incredible generosity and support. 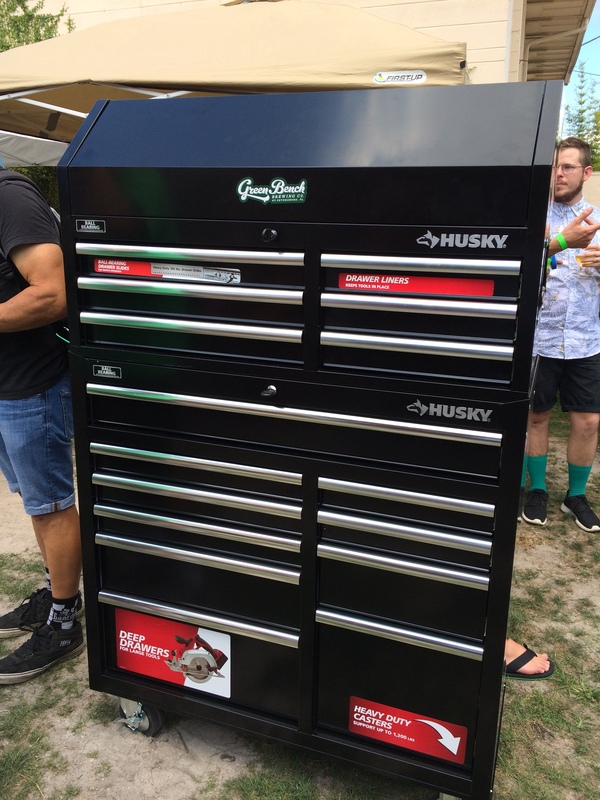 Seeing their incredible gift of a luxurious tool cabinet glistening in all its shiny spankin’ new splendor really surprised us and just about melted all our hearts – we can’t wait to put it to use! You have our sincerest love, kisses, hugs, and eternal gratitude. 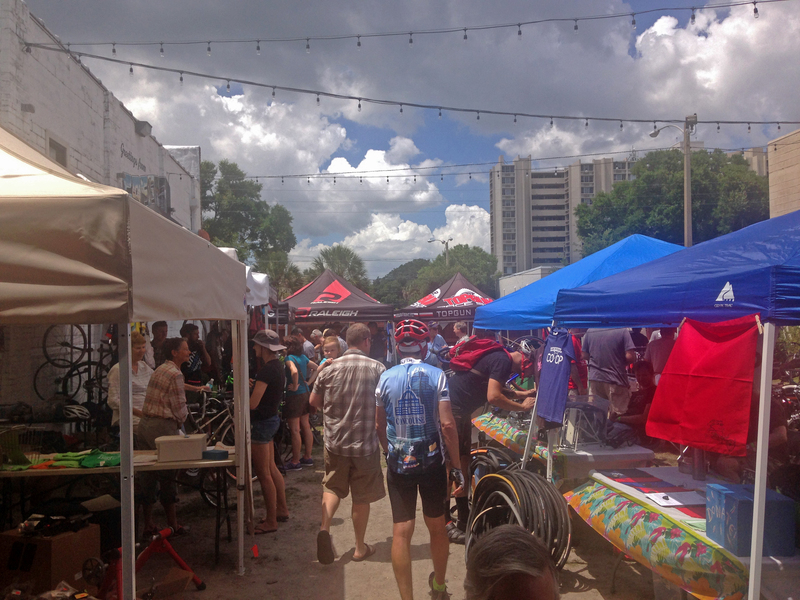 And THANK YOU all you wonderful citizens of St. Pete for attending and riding your bikes and supporting local makers. You make this town amazing and we can’t wait to see ya all at the co-op! Vendors are setting up and we’re almost ready to start! 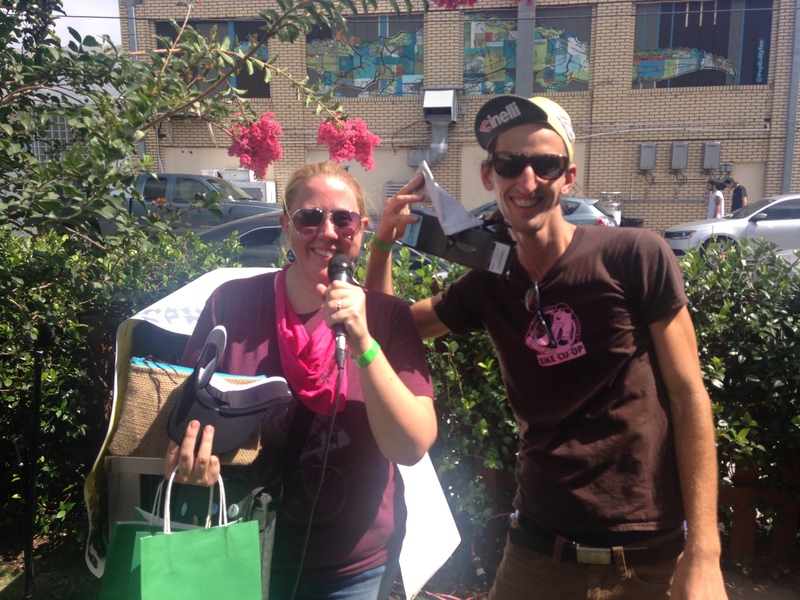 Carrie and Brad calling out the winners of some super great raffle prizes! 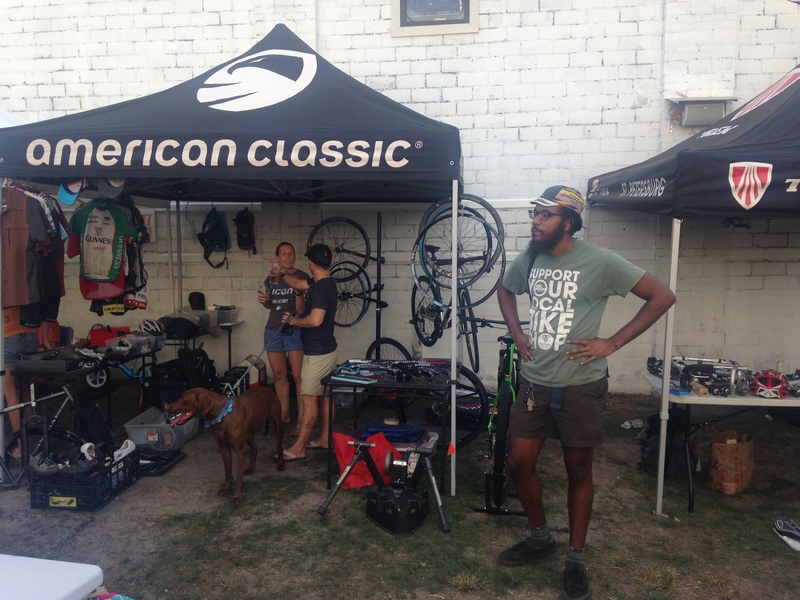 Lotsa cool deals on gear from some of our killer local vendors. Our precious! Thank you so much Green Bench!